Express Modular plans, designs, and builds custom modular homes. For many, the most striking thing about a modular home isn’t anything you can see or the materials from which it is constructed. It is simply how it is made. It is built in a precision factory. There are many misconceptions about modular construction and confusion between it and other types of construction. While other homes are built in a factory, or parts of it are built in a factory, they are not the same. Modular homes are built to the same building code as a home built on site. It is actually built to an even higher standard so it can be rigid and withstand the transport and installation process. 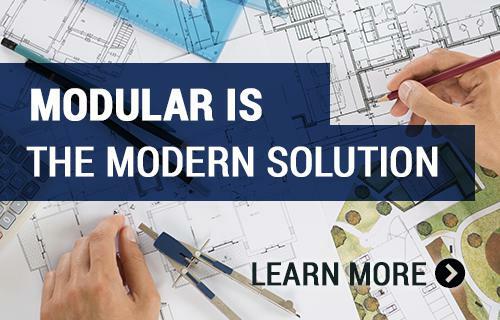 Most prospective customers that start researching modular construction think it is chosen for custom home building because of the value it provides. While many of our customers choose it for that reason, value actually is number three in overall selection criteria. Others believe it is the speed to completion time that makes so many select modular construction. While building a home faster actually can save you money because of less construction interest, less rent while waiting to move, and loss from theft and weather damage, it is still only ranked as the second highest reason to build a modular home. The number one reason so many customers chose modular homes is quality. Quality can be defined in many ways. For most it means that their new custom home was built to an exacting standard that promoted precision construction, energy efficiency, and resulted in a healthy and safe home for them and their family. Modular homes achieve the precision quality they are known for by being constructed indoors in a climate controlled factory environment. Modular construction means the materials for your home are kept inside, that rain never touches your homes floors, and that skilled craftsman were able to methodically seal every location against potential air infiltration boosting energy efficiency. Homes are not only inspected for building code but they are also inspected for quality. Modular homes have factory quality built right in. Are you ready to build your new custom home? We can build a home in virtually any style for any site. We can build custom estate homes. We can design and build coastal homes based on traditional architecture or a more contemporary architectural design. Whatever your desire, we can build it using modular construction. Just imagine the possibilities. Hawaii is only one of two U.S. states not connected to the main land. It is a world-renowned vacation spot, known for its beautiful islands lined with beaches of warm, white sand and verdant, lush flora. Hawaii is also known for its traditional luau celebrations, the beautiful native people and its wide range of outdoor activities, including surfing, scuba diving, snorkeling, fishing, hiking and camping. As a tropical destination, many decide to visit and then stay in the tropical paradise. Interested in building in Hawaii? We have an extensive selection of modular home plans and a consultant for your area who is waiting to help you with every detail along the way. Let's get started!